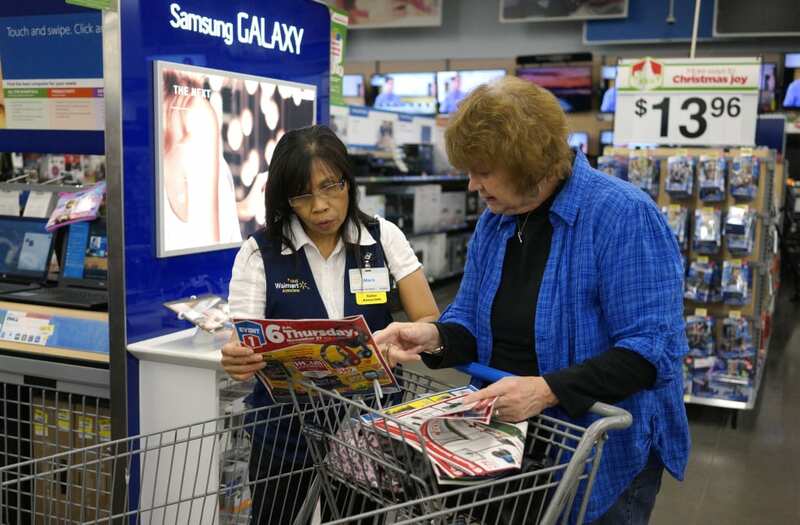 NEW YORK, Jan 11 (Reuters) - Walmart Stores Inc said on Thursday it would raise entry-level wages for hourly employees to $11 an hour as it benefits from the biggest overhaul of the U.S. tax code in 30 years. The world's largest retailer said the increase would take effect in February and that it would also expand maternity and parental leave benefits and offer a one-time cash bonus, based on length of service, of up to $1,000. The pay increase and bonus will benefit more than 1 million U.S. hourly workers, it said. Walmart's announcement follows companies like AT&T Inc , Wells Fargo & Co and Boeing Co, which have all promised more pay for workers after the Republican-controlled U.S. Congress passed a tax bill last month that cut the corporate tax rate to 21 percent from 35 percent. President Donald Trump and his fellow Republicans have argued that the big corporate tax cut will benefit workers and lead to more investment by U.S. companies. "We are in the early stages of assessing the opportunities tax reform creates for us," President and Chief Executive Officer Doug McMillon said in a statement. The tax law gives the retailer an opportunity to be more competitive globally and to accelerate investment plans for the United States, he said. The increase in wages will cost approximately $300 million on top of wage hike plans that had been included in next fiscal year's plans, the company said. The company is offering a one-time bonus to all full and part-time employees based on their length of service, rising to $1000 for employees with 20 years of service. The one-time bonus will amount to $400 million in the current fiscal year. The company raised its minimum wage to $9 an hour in 2015. In 2016, it said employees who finished an internal training program would be eligible for $10 an hour. The retailer has spent about $2.7 billion to increase wages over the past few years.